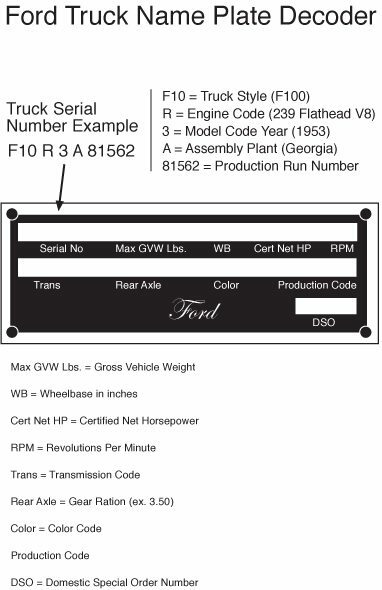 1955 Ford trucks received minor changes from 53-54 Fords. A new grille was used. 1955 grilles were a new design, but again used the 53-54 headlight buckets. Matching chrome grille pieces were available for Deluxe trucks. Hood side emblems were more elaborate over the 53-54 versions which were block letters – “Ford F-100”. Custom cab trucks had a chrome “Custom Cab” emblem on each door. Paint colors were updated for 1955 trucks. Engine combinations remained the same on the 54 and 55 F100. All were overhead valve engines. Available engines were: 223 Straight 6, 239 V8 and 256 V8. 1955 Ford F100 This truck is not completely original – It was lowered and the paint is not an original color.